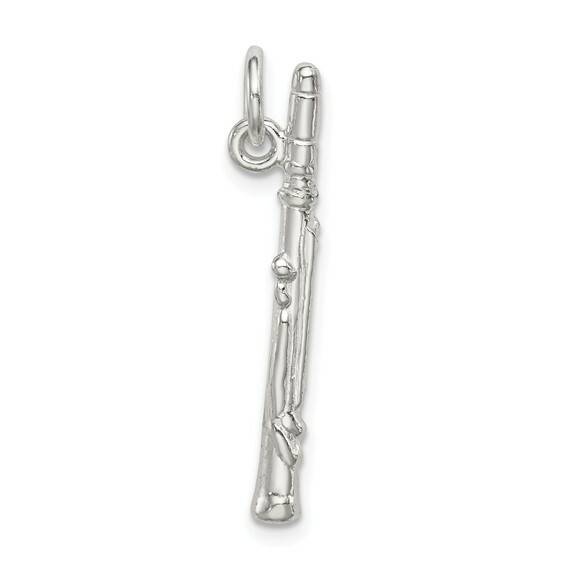 Three dimensional flute charm is made of polished sterling silver. 1 inch tall by 1/8 inch wide without bail. Weight: 1.37 grams. Import. GIFT TO MY GRANDDAUGHTER, IT LOOKS GOOD, I|BELIEVE SHE WILL LIKE IT. Just what I wanted. Service was great. I ordered it & it arrived in a couple of days. Great because of the holiday. It was delivered before I thought. Wonderful. I will order again. Great Job!! !